GET THE MOST VALUABLE INFORMATION OUT OF YOUR LOCATION INTELLIGENCE FOR BUSINESS DECISIONS WITH RTLS ANALYTICS SOFTWARE. Enhance your system by powerful analytics empowering you to improve the processes visibility, discover weak spots and mainly to save operational costs. SAGE Analytics is a revolutionary software service delivering important facts and relevant information about movement in your facility. Accessible all in one compact dashboard, helping you to swift logistics, speeding-up operation and streamline key processes. HOW MUCH TIME VEHICLES SPENT IN SPECIFIC AREAS WITHIN THE FACILITY? Draw several zones over your facility and measure how much time your vehicles/assets spent in individual zones. If you need to compare it over different shifts or days, no problem. WHAT IS THE OVERALL EQUIPMENT EFFICIENCY OF MY FLEET? 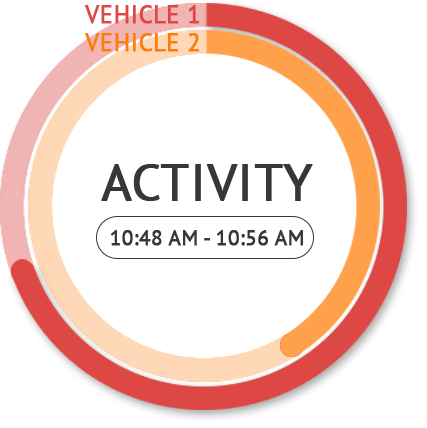 Thanks to vehicle activity log, you may optimise fleet overall efficiency by exploring inactive periods. HOW MUCH THIS CORNER AFFECTS THE PERFORMANCE OF INTRALOGISTICS SUPPLY CHAIN? Using heatmaps delivers a high level of process visibility to your planning. ARE MY FLEET GROUPS OPERATING OPTIMALLY? Using Spaghetti Diagram enables to explore the journey of any vehicle even several months back. To check trajectory real time is not an issue as well. SAGE Analytics opens you a new dimension trough analytics estimation of location data for real evaluation of processes and movement in your facility. Most of the IoT projects starts with the proof of technology/concept or small pilot project. To simplify and accelerate your success, you can easily start with plug&play RTLS TDoA Kit. Demonstration or testing thus can be done almost immediately. If you want to extend area, just add more Anchors, it is simple.